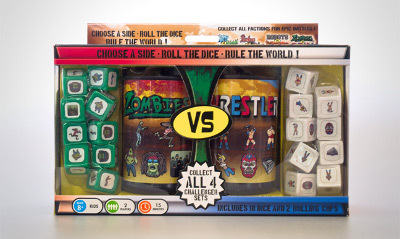 Choose a Side, Roll the Dice, Rule the World! Do army troops have what it takes to stave off an alien invasion? Are pirates better warriors than ninjas? Are dinosaurs or zombies fearsome or just feeble? 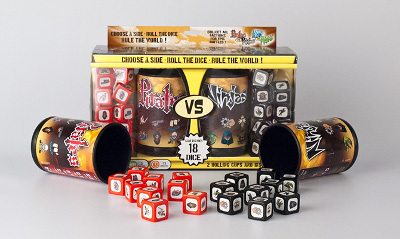 Find out with the AvA series, a fun twist on dice-elimination games. 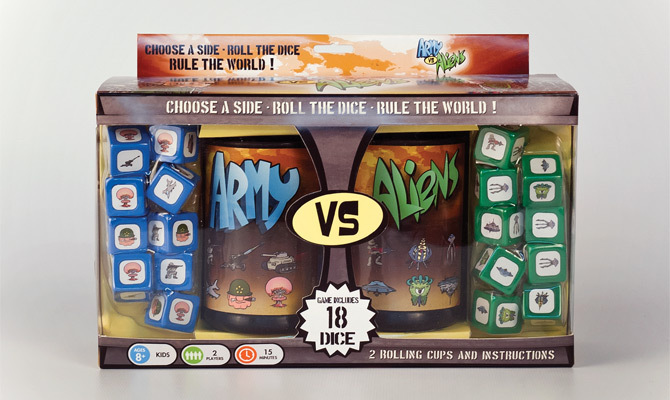 The first edition in this series, Army vs. Aliens, lets you choose whether you want to fight as the army or if you want be the aliens trying to conquer Earth. 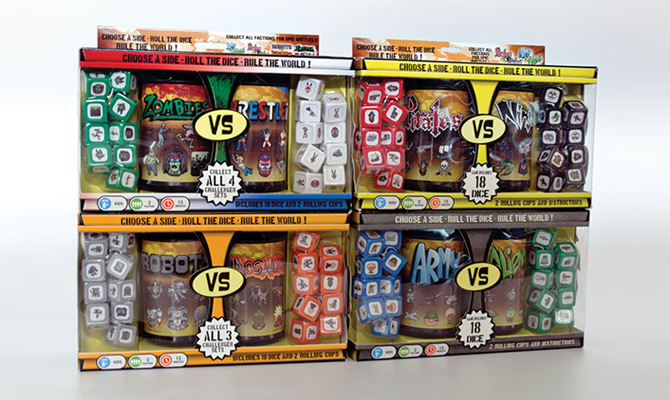 This series tests your gaming skills in fast-paced dice combat. By combining strategy, cunning and a little luck, players outsmart their opponents to win. For unlimited challenges, mix and match game editions. Collect all four sets! 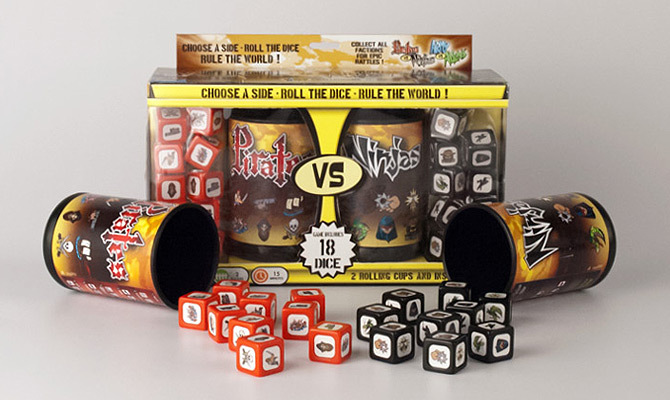 Each game pack includes 18 custom dice‚ nine for each team. A handy guide helps players plan their battle moves. 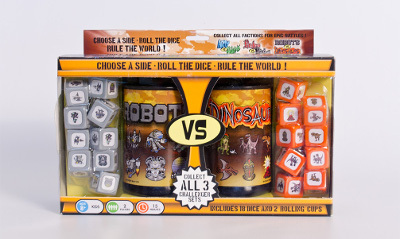 The game also features two dice cups that snap together to double as a carrying case for portable fun! Can cannons and sea monsters beat out dragons, throwing stars and ancient ninja magic? Players can find out with Pirates vs. Ninjas, the second game in the AvA Challenger Series. Will metal and artificial intelligence beat out sharp teeth and claws? Raptors, T-Rexes and Terrorsaurs take on robot power in Robots vs. Dinosaurs, the third edition of the AvA Challenger Series. Get ready to rumble! Luchadors and cheaters from the world of wrestling take on zombie hordes in the fourth edition of the AvA Challenger Series. Will the wrestlers’ death-defying stunts be enough to defeat the undead?